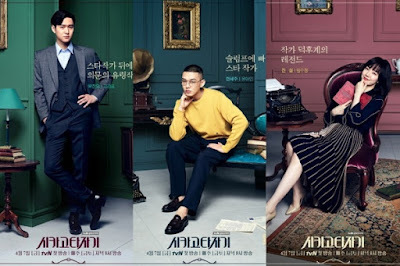 Chicago Typewriter (Hangul: 시카고 타자기; Hanja: 芝加哥打字機; RR: Sikago Tajagi) is a 2017 South Korean television series starring Yoo Ah-in, Im Soo-jung and Go Kyung-pyo. It premiered on April 7, 2017, with episodes every Friday and Saturday at 20:00 (KST) on tvN. Plot: About writers who lived in the 1930's Japanese occupation of Korea, and are reincarnated into the present as a best-selling writer who is in a slump, an anti-fan, and a mysterious ghostwriter.